Hello, CEO Olivia reporting. Today I want to bark out congratulations to Dorothy Wills-Raftery of FiveSibes: Siberian Husky K9 News & Reviews. You remember that my huMom was on her Sibe Vibe radio show a couple of weeks ago. 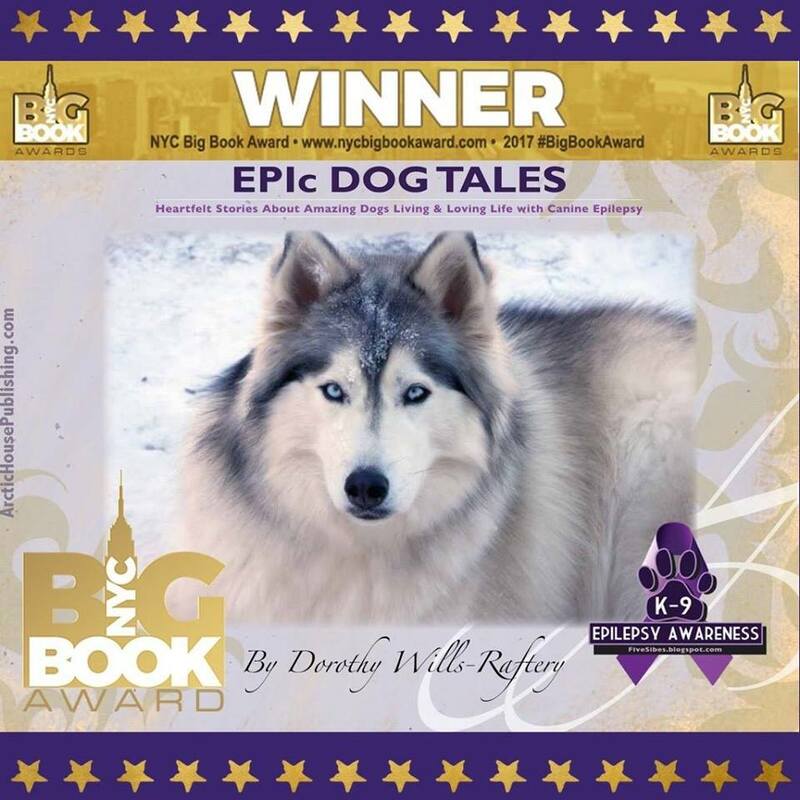 Dorthy has won the 2017 NYC Big Book Award in the Pet Category for her book, “EPIc Dog Tales: Heartfelt Stories About Amazing Dogs Living & Loving Life With Canine Epilepsy”. 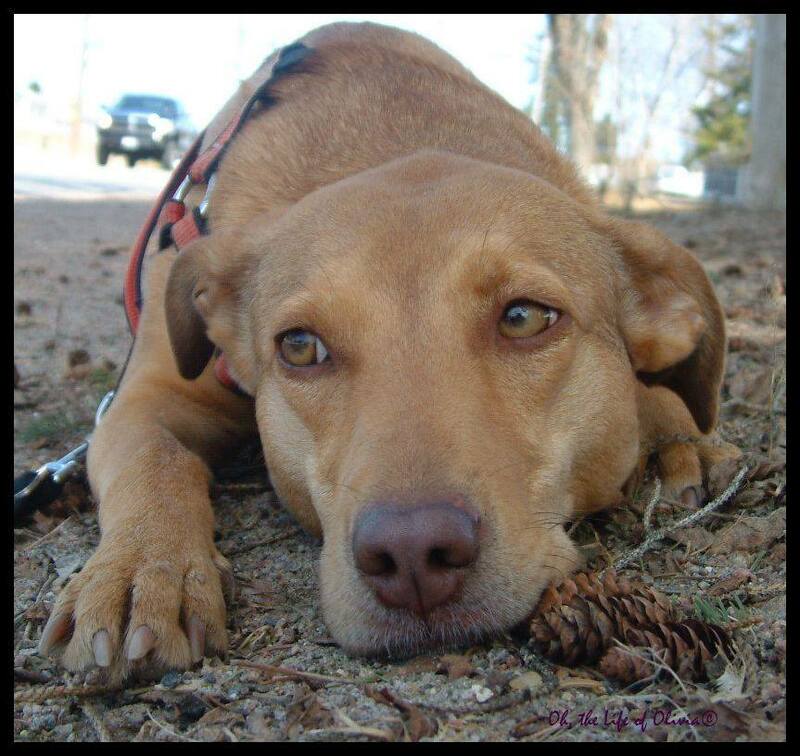 The book is a collection of short stories about dogs living with canine epilepsy. One of the stories is about me, Olivia! Dorothy has written other books too. 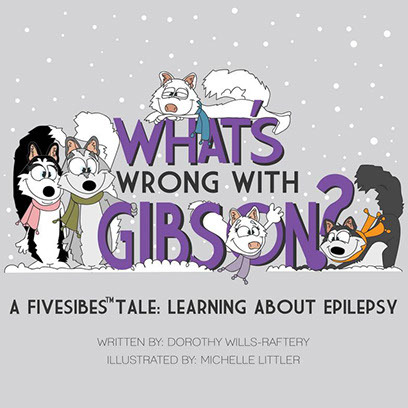 Her book, “What’s Wrong with Gibson”, is a positive, educational tale of how the FiveSibes help Gibson when he has a seizure from Canine Epilepsy. It’s a book for humans of all ages, & great for helping children understand pets (or anyone) living with Epilepsy. You can sniff out Dorothy’s books here. Congratulations Dorothy! Here’s to more success in the future. We love Five Sibes too! There are many wagnificient Epi Warrior stories in this wooftastic book. HuMom just did a radio interview with Dorothy on DogTalk Radio this month! How cool that you are featured in Dorothy’s latest book. We love the Five Sibes!